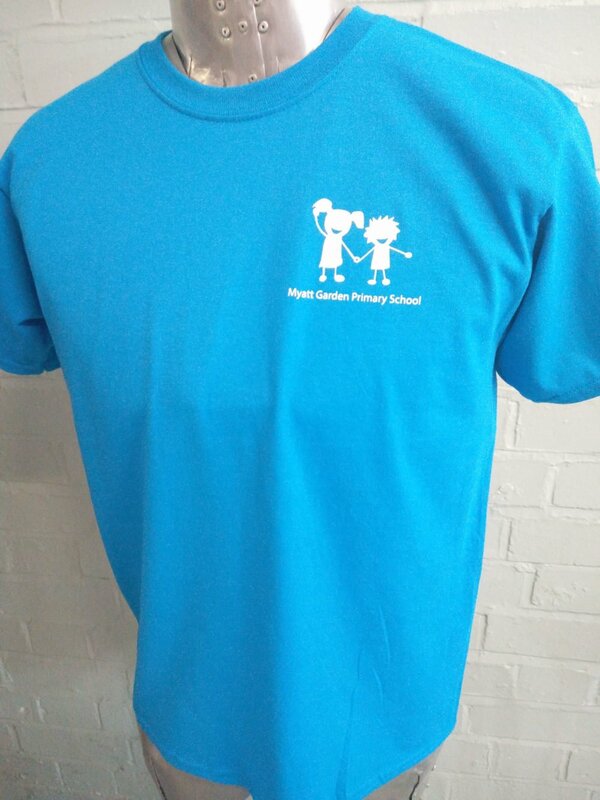 Bright blue Leavers t-shirts for Myatt Garden Primary School Class of 2017 Leavers. 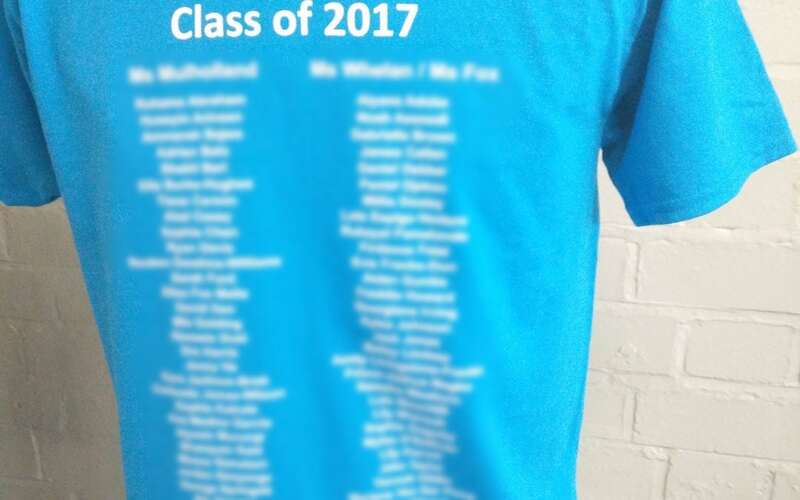 With custom print in white on the front and back these look great. 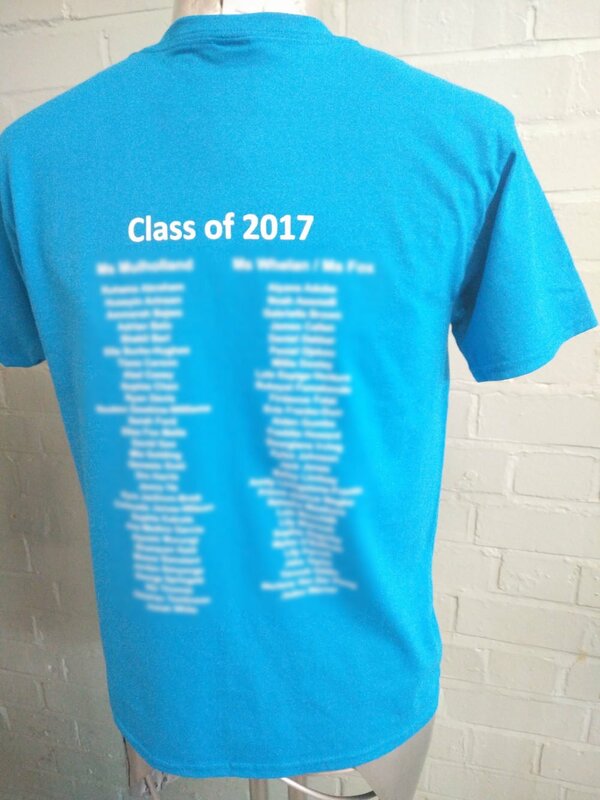 Front has custom logo on and back has custom Leavers ‘names’ print on.